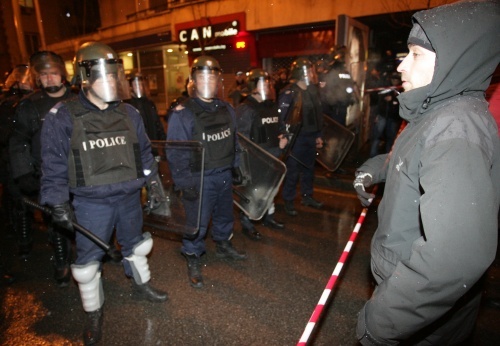 In pictures: A police cordon blocks protesters headed for the Vasil Levski monument in downtown Sofia. A rally attended by hundreds of people is calling for the resignation of the government and booing Prime Minister Boyko Borisov. A police cordon blocks protesters headed for the Vasil Levski monument in downtown Sofia. A rally attended by hundreds of people is calling for the resignation of the government and booing Prime Minister Boyko Borisov.